What Are the Chances Your Eggs Can Make a Baby? A woman in her prime reproductive years – 20s – has as 26 percent chance of getting pregnant with the one natural egg her body produces each month. Don’t despair if you are in your 30s or early 40s. Your quality eggs can still make a healthy baby. A woman is born with between 1 and 2 million eggs – however – she only releases 300 to 400 eggs through each natural ovulation cycle during her lifetime. Typically, a woman only releases one egg per month during her natural cycle. New Hope Fertility Center’s policy: It only takes one good quality egg to have a healthy baby. Conventional IVF treatment relies on daily injections of fertility drugs to simulate the ovaries to produce the maximum number of eggs possible per fresh cycle. All egg follicles are targeted for stimulation – regardless of quality – meaning many are not viable for fertilization. Although 15 to 20 eggs may be produce, only three to five quality eggs are fertilized in vitro and eligible for transfer to patient’s uterus in hope of a viable pregnancy. Bottom Line: Opt for our One Good Egg Policy. Our fertility specialists focus IVF treatment plans on producing high quality eggs – One Good Egg Policy – not a large quantity of eggs. When multiple eggs are produced, many are not suitable for fertilization in vitro and treatment is very hard on patients – physically and financially. Why is this important? Healthy, quality eggs achieve high IVF success rates for even those difficult patients who have been turned away from treatment at other fertility clinics. Bottom Line: For older women to get pregnant successfully through IVF, only one good egg and one healthy sperm is needed. 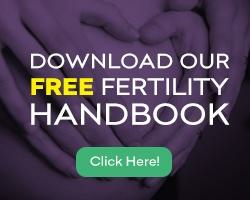 We welcome women diagnosed as difficult or hopelessly infertile by other fertility clinics. Because of our One Good Egg Policy, our fertility specialists happily accept candidates for IVF that other fertility clinics decline to treat. To schedule your initial consultation with one of the fertility specialists at New Hope Fertility Center, click the icon below – or – call 917.525.5496.